Colmonell Primary School has scooped two prestigious silver awards in the annual Roses Design Awards for its iconic and outstanding design. The school was nominated in both the Sustainability and Education categories, celebrating the very best in innovation, sustainability and architecture across the UK. The awards were presented to Ayr-based ARPL Architects Ltd, who designed the school, at a ceremony in Manchester. South Ayrshire Councillor Hywel Davies, Portfolio Holder for Lifelong Learning said: “I am absolutely delighted that Colmonell Primary has won these plaudits, especially in two very keenly contested categories of the Roses Design Awards. Credit was also given to others involved in the project including structural engineers, Hodgin Smith Partnership, environmental engineers, FLN Consulting and quantity surveyors, Armour Construction. 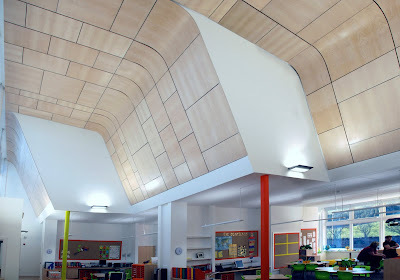 Gordon Fleming from ARPL Architects Ltd said: “We are delighted that our design work for Colmonell Primary school has been recognised in the UK-wide Roses Design Awards for 2011. “The brief set by South Ayrshire Council had very high aspirations for a new sustainable village school. Our design solution sought to fulfil these aims with a forward looking design which anticipates the educational and environmental needs of the coming decades. “The use of innovative design ideas in layout, materials and construction helps provide a rich and engaging experience for the children in a healthy natural environment. The school now has the chance to win another national honour, as it has been nominated for a Glasgow Institute of Architecture award, in the Education category, with results due on Friday 11th November 2011. 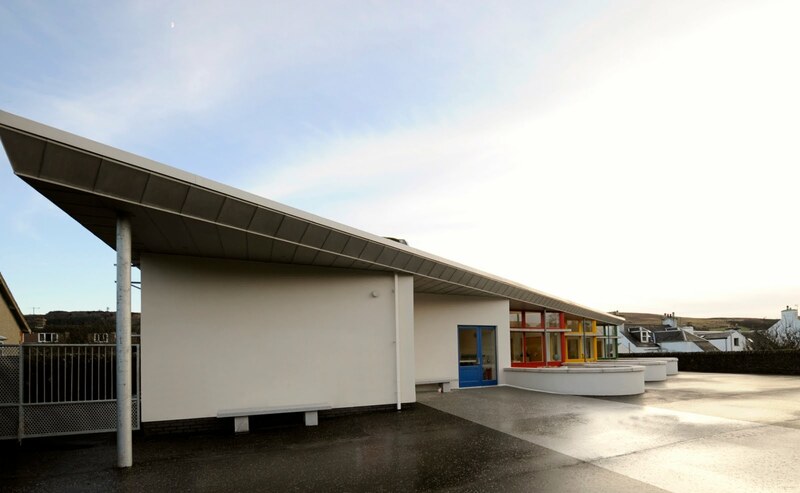 Councillor Bill McIntosh, Leader of South Ayrshire Council, commented: “Providing a high quality and eco-friendly learning environment was at the heart of our strategic planning for Colmonell Primary School. “The brief was challenging – to design and build a school taking best advantage of daylight, natural ventilation, environmentally responsible building materials and avoiding harmful chemicals, while at the same time delivering a state of the art school and a fantastic learning environment for our young pupils. “The results speak for themselves. “The bright, airy and well designed teaching spaces are outstanding, supported by a main dining and sports hall, a central open area with library and a wide range of educational resources, internally and outside in the landscaped exterior. Councillor Davies concluded: “The school is a credit to the architects, designers, builders and agencies involved in its creation and thoroughly deserving of the plaudits received.